At Shifty Jelly we love anything new and shiny. 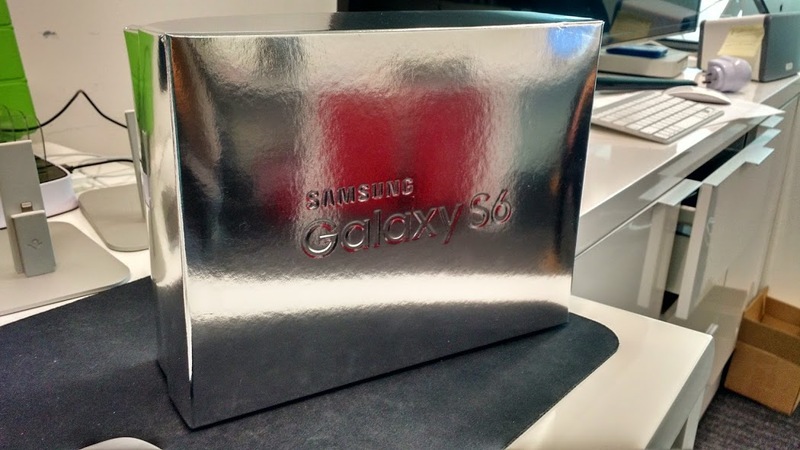 So it was no surprise that when Galaxy S6 pre-orders went live, we ordered one. The intention was to get one for testing, because it’s always good to have the phones on hand that people use and the Galaxy series of devices are always top of the list. What happened in the week that followed shocked even me. Before I continue though, consider this a trigger warning. If you hate Samsung devices you might not like the rest of this post. I’m going to start with one word to describe how I feel about the S6: ‘shock’. Now I’m going to use two words with a joining word: ‘disbelief and shame’. Long story short, and believe you me this is very hard to write…I…like…this phone. You could even say I like like it. For a bit of context I’ve hated every Galaxy phone that existed with the exception of the S2. I’ve hated them for so many reasons: hardware, software, marketing and prevalence. It’s the line of phones that made me sad because it’s the ones everyone was buying, but they often represented the worst possible Android experience you could have. Philip and I joked about who would have to carry this phone around. It was a hilarious moment in Shifty Jelly history, believe me. Then I opened it and turned it on. The first thing that struck me was the build quality. It’s really good. The next thing that struck me was the screen. It’s amazing. Bright, super high density (far higher than the iPhone and Moto X I’m used to) and so beautiful. Then I was struck by the speed…this thing is fast…like really fast. Then I took a few test photos, and damned if they didn’t look better than all the same photos I was taking with my iPhone 6. In short I had a ‘huh?’ moment. Was it possible this was a good phone? Naaaah. For a laugh I copied the setup I have on my Moto X so that I had all the same apps in the same places on the S6. I also installed Google Now Launcher and the Google Keyboard because I wasn’t a fan of the Samsung launcher or keyboard. Then I figured I should probably just use it for a bit, maybe a day. No need to put my sim card in it, just you know, pull it out every now and again.